In 1631 Philip IV of Spain appointed his brother Ferdinand as the new governor of the Southern Netherlands. Because of the prolonging of the Thirty Years’ War it lasted until 1634 before Ferdinand could make his entrance into Brussels. The magistrates of Antwerp convinced him to visit their city as well and spared no trouble or expense to given him an elaborate and grand welcome. 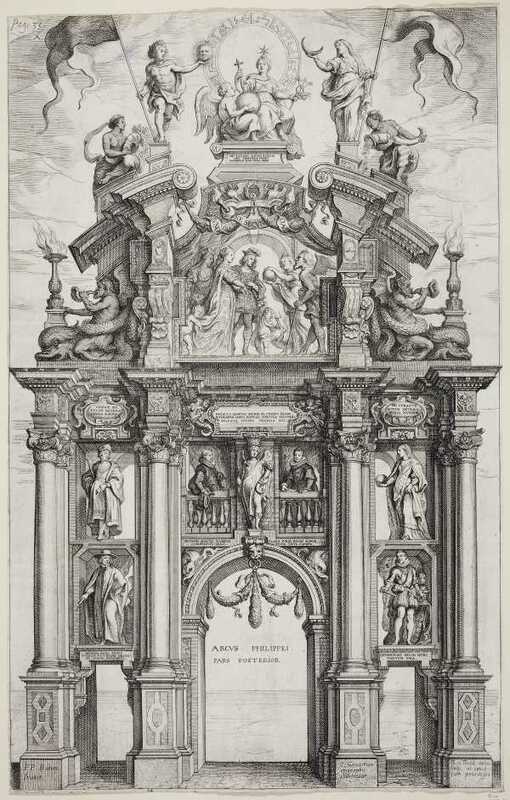 Peter Paul Rubens was contracted to design a series of triumphal arches that were to adorn the city. These arches had an extensive and complicated scheme of allegorical paintings, praising the virtues and victories of the new ruler and the Spanish Throne. 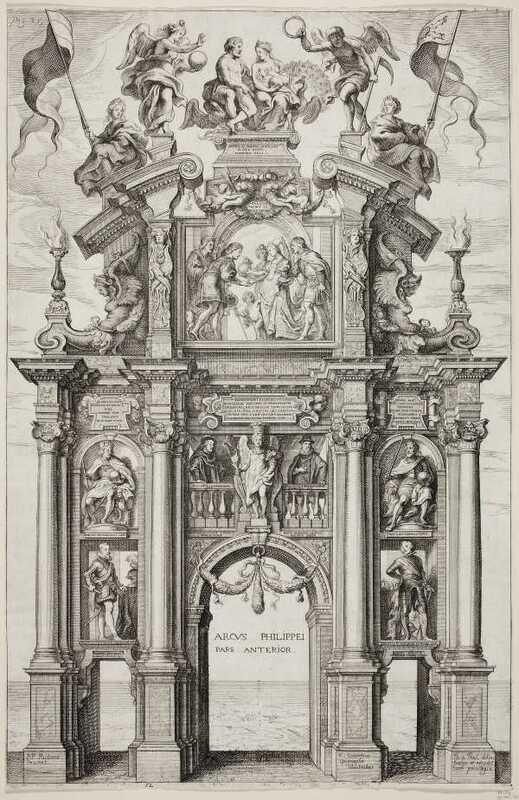 The artist Theodoor van Thulden, one of Rubens’ cooperators in the execution of the arches, was chosen to engrave the designs for a publication. This Pompa Introitus had a difficult and protracted genesis. Although Van Thulden signed a contract shortly after the festivities in may 1635, it lasted until 1641 until the book would finally be published. The delay was due mainly to the tardiness of Caspar Gevartius who was to write the accompanying text. This led to a series of lawsuits in which Van Thulden, who was responsible for all expenses of the printing and publicising, tried to be put in his rights, with meagre results. The whole process gives a fascinating insight into the economical and legal complications that could permeate artistic life in the seventeenth century. The publication in 1641 (a limited first edition) and 1642 was a huge artistic success. Never before had a royal entrance been published in such a splendid and grand manner. The book contained 25 large plates of the triumphal arches and a number of smaller plates, reproducing the paintings. First of all the book confirmed the huge talent of the recently deceased Rubens but Van Thulden’s unique style of etching contributed much to the decorative and pleasant effect of the book. Disappointed by the course of events in Antwerp however, Van Thulden withdrew to this native Den Bosch where he continued his career and was contracted on several occasions by the city magistrates.